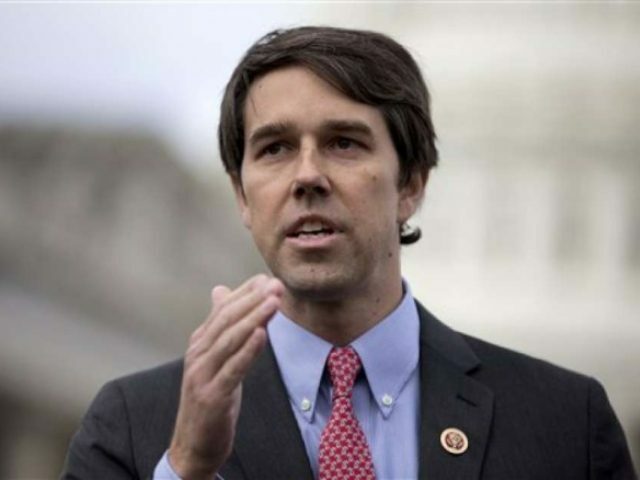 Liberals have found a new hero in Beto O’Rourke, the Democrat candidate for U.S. Senate in Texas, who explains that “nothing is more American” than protesting during the playing of the national anthem. The Democrat candidate recently appeared at a town hall in Houston, Texas, where he explained away the NFL players’ protests as an act of supreme Americanism. A video of the candidate’s comments has been making the rounds to the applause of the sports media and liberals who support the player protests against the country, 12up.com reported. At the town hall, a young man who is upset at the anthem protests asked O’Rourke if he thought the protests were disrespectful to our police, soldiers, and country. But the Democrat replied saying he does not find protests during the anthem at all disrespectful. “My short answer is, no, I don’t think it is disrespectful,” O’Rourke begins. “Here’s my long answer, but I’m gonna try to make sure I get this right because I think it’s a really important question,” he says to applause from his Democrat audience. The candidate then went on to cite Dr. Martin Luther King, Jr., and his “non-violent, peaceful movement” to secure equal rights. Then, equating the Freedom Riders and those civil rights activists who were killed and beaten to NFL players protesting the country during the national anthem. O’Rourke next added that protests arose because “unarmed” black teenagers and “children” are “being killed at a frightening level right now… without accountability” by police. The candidate concluded by saying, “And so non-violently, peacefully, while the eyes of this country are watching these games, they take a knee to bring our attention and our focus to this problem to ensure that we fix it,” O’Rourke said. “That is why they are doing it. And I can think of nothing more American than to peacefully, standing up, or taking a knee, for your rights, anytime, anywhere, in any place,” the Democrat concluded. For his part, O’Rourke’s opponent, sitting Republican Senator Ted Cuz, finds O’Rourke’s proclamation less than adequate.